In true Texas fashion, I spent the Wednesday before Thanksgiving doing my last minute shopping at Wal-Mart... in my flip flops because the high was in the low 80s. As usual, we were headed to my in-laws over in San Marcos to spend it with J's side of the family. Our annual offering is broccoli rice casserole. 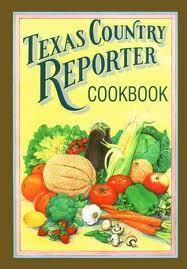 The recipe can be found in this book. Don't let the cover fool you, with all of those fresh looking vegetables. Every other recipe contains sour cream and a stick of butter, which is why we love it! 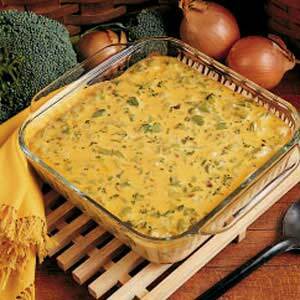 Broccoli rice casserole is a standard at any holiday meal. For Thanksgiving, Christmas and Easter, you will always find it on the menu. It's highly versatile and can be paired with turkey or ham. The best part is that you don't have to season it at all because it contains cream of mushroom soup and a jar of Cheez Whiz. These two highly processed foods are staples in the southern/Texas diet and contain enough sodium to give an elephant a serious case of water retention. Can you say belly bloat? The recipe does contain broccoli, but any health benefits provided by this vegetable are cancelled out by the other ingredients that shoot straight to your arteries and get stuck along the walls to form blockage. Mmm, mmm, good! I may have to get my mother or in-laws to ship some other Texas staples we just won't be able to live without over to England. The list will probably contain the following. It will be interesting to see what other differences we find in the aisles of our local grocery store in England. Maybe visitors will need to "pay" for their stay at our house with packets of Ranch dressing mix or Tex-Joy seasoning.